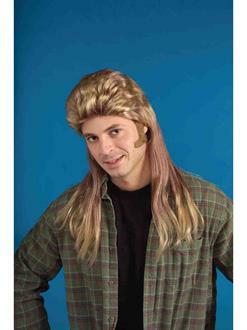 You know you're a redneck when you have a mullet! This Blonde Mullet Wig is the perfect wig to capture this iconic short in the front and long in the back style. Pair it with any redneck, NASCAR or country music star costume and you'll look authentic!